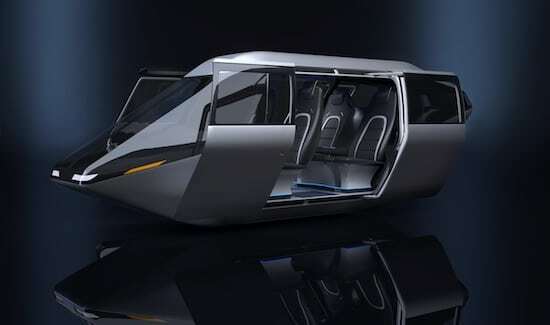 The air taxi cabin revealed by Bell at CES 2018. Image courtesy of Bell Flight. Bell is teaming with Garmin International to develop and integrate autonomous vehicle management computer (VMC) systems on Bell vertical-takeoff-and-landing aircraft to enable urban mobility. Scott Drennan, VP of innovation at Bell, said VMC systems represent some of the advances "that will bring viable urban air transportation to our everyday lives in a way that is safe, quiet, convenient and affordable." “There is still work to be done to operationalize on-demand mobility in the vertical dimension, but we believe the future is real, possible and very close to becoming a reality," Drennan said in a statement. The companies said that Garmin's innovations "will provide enhanced safety and situational awareness in all weather conditions." While Bell personnel will focus on developing and producing VTOL systems, Garmin is to lead the avionics effort needed for on-demand mobility vehicle management, including primary flight information, navigation/communication, flight guidance and flight management systems. Garmin is one of several avionics companies researching technologies for the future VTOL air taxi market. Safran will provide the hybrid-propulsion system for Bell’s VTOL aircraft.